Nick DeLeon declines T&T call-up. Re: Nick DeLeon declines T&T call-up. Unless the player has absolutely no chance of making his birth country's team, we're always second fiddle. That's the reality. Right and its about time we accept this knowing that he is waiting to see if he gets his American call up. He is basically holding out. That is the reality. Once we can accept this is reality there will be less confusion about why he aint select T&T or make a decision yet. Until such time as he is the holder of a T&T passport, this "holding out" talk is entirely academic. A genuine situation of holding out will exist when he is in possession of both passports and pussyfooting. As we on dis, anyone care to ask De Leon (the dad), why he has been waiting on a special dispensation to get his i.e. (Leroy's) passport? sometimes it's not even that precise, ala raheem sterling and J loyd samuels. those two fellows chose their adopted country over their birth place with J loyd giving up on a sure opportunity to play in a world cup for a slim chance to represent the lions, and i can't blame them either. case and point, it's 2016 and the federation still can't get it together 10 years after a world cup appearance. people could do without that level of stress. side note. when we loss to haiti i saw the look on boucard's face, it was a look of pure disappointment and anguish. i don't think foreigners are cool with losing like we are, that's just not in their culture. One fan thinks if the US changes coaches Nick might have a chance . Not exactly revolutionary thought. Nothing new here. Under any US NT coach, lehme ask posters to project how many caps (maximum) they conceive ND achieving during his career. Zero. He's already 25 years old. His decision makes itself as far as I'm concerned. Yep. And it's not like the USA never plays second fiddle either. We were the fallback choice for Jermaine Jones, for example, and other German-Americans as well. That's how many countries end up getting some of their best players. just watch him there in a loss to philly. as much as i was checkin to say fork off to he, i end up feelin like he could be useful to t&t man. a (less skillful) latapy style # 10 in my opinion which could change up how the team look if he come off the bench. press on...sort out the passport. DeLeon is not on the USA's Copa America roster that was announced a few days ago, even though I don't think he's ever really been on Klinsmann's radar at all. 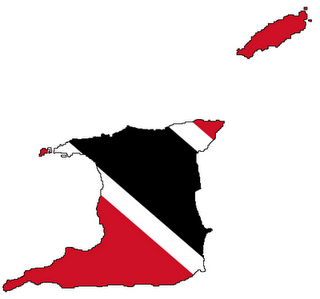 I imagine his commitment to T&T is just a matter of time, although I could also see him waiting until the Hex to do it. Is DeLeon looking forward to make the US team? What is all this? I taught Nick was having issues getting his passport? Yes I believe someone reported that it was a problem on Leroy's end that was holding him up, but he was trying to become eligible. I wondered if it was only me? I thought he had already made his decision? I guess Jurgen could ketch ah vaps and all of ah sudden decide to call him up in the middle ah WC qualifying? Two years later and the man is now 28. Don't worry in the next 18 months if the US still blanking him, he will make his move. The truth is he is doing what all others before him have done. He will come to TT only if the land of his birth doesn't want him. Remember J Loyd Samuel made us wait about a decade. We were running after him since he was 19. And I don't fault them for that at all. As long as they fully committed if/when they eventually decide... welcome. Ah wonder if Leroy reach by de passport office yet?